How Far is Ganga Savithri Apartment? 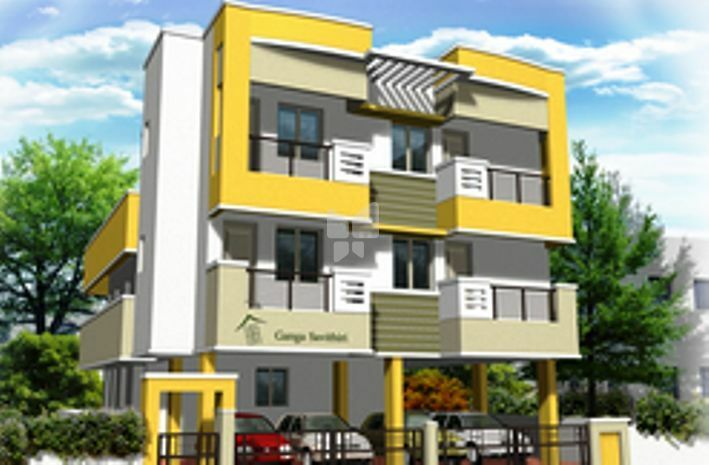 Savithri Apartment is one of the popular residential developments in Perambur, neighborhood of Chennai. It is among the completed projects of its Builder. It has lavish yet thoughtfully designed residences. Ganga Foundations Pvt Ltd. since its inception in the year 1992 has come a long way as a Builder, Promoter, Infrastructure & Urban Development & Real Estate player. Over the past two decades the organization has grown in leaps & bounds with Quality & Service still as its key USP. The company has created excellent, aesthetic edifices in over 85 Residential Projects, Independent Houses & Industrial buildings totaling around 20 Lakh Sq.Ft. The organization was the 1st company in Chennai to be awarded with ISO 9001:2008 during the year 2009 & the 5th company in Chennai to be awarded the ISO 9001:2000 during the year 2005. The organization is promoted by Mr.S.Senthil Kumar & Mr.C.Chitti Babu (Engineers by Profession) from its early days & over a period of time they have gone ahead & built a very strong & committed team that executes the visions of the company. The core team of Engineers, Designers, Architects, Managers have etched their Artismanship, Promptness & After-Sales Service towards all the projects that the company has completed till date. Starting with a basic enquiry to various negotiations until the handing over process is complete; the team has been successful in bringing prosperity to its customers in all over the past 22 years. The future has many challenges & opportunities as well. They would be explored & implemented towards the growth of the company. Ganga Foundations Pvt Ltd. having established its brand synonymous with Building Prosperity - Since 1992 has commenced its next phase in this ambit. The company having created a niche brand in the housing segment & has also begun to focus & make its presence felt in other areas of this business such as Retail, Entertainment, Infrastructure & Urban Development. The company as part of its expansion & growth plans towards becoming a strong player has commenced due to its foray into other walks of the Construction Industry. Our first mega commercial venture, SPECTRUM MALL @ Perambur is complete & is operational from June 2012. The company has been awarded various certifications which makes the firm a credible player in the Construction Industry. We shall strive to bring in more PROSPERITY to our customers by exploring new horizons & reaching various frontiers.